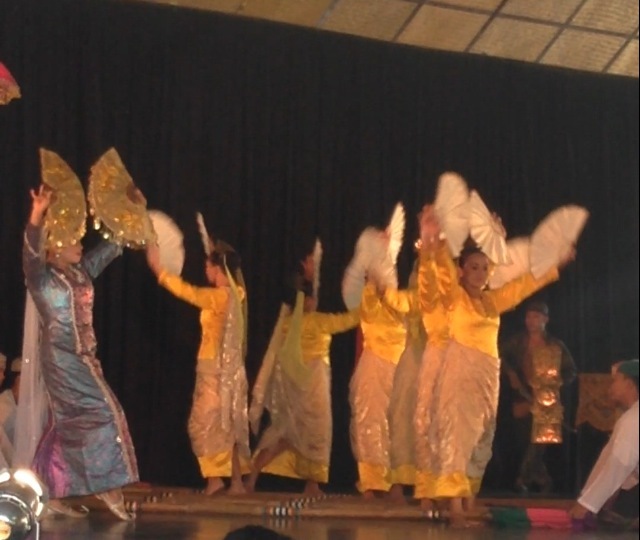 There is no better way to learn about different cultures than to experience their food, music, and dance. On my latest trip to the Philippines, we spent a day at the historic Villa Escudero Plantation, known as one of the best places to experience Filipino culture and history. 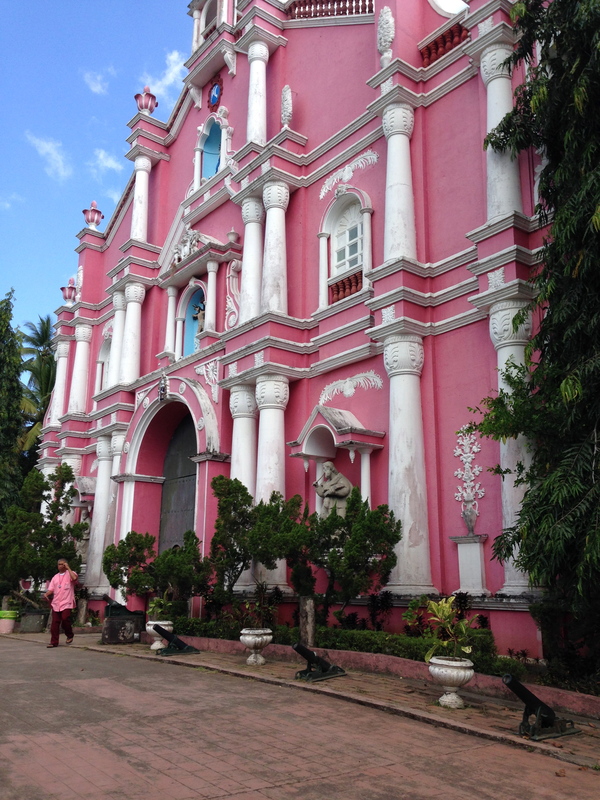 This beautiful 2,000 acre coconut plantation and hacienda founded in 1872 offers travelers a tour of the village and museum, unique accommodations in a rural setting, and restaurants that serve Filipino specialties. 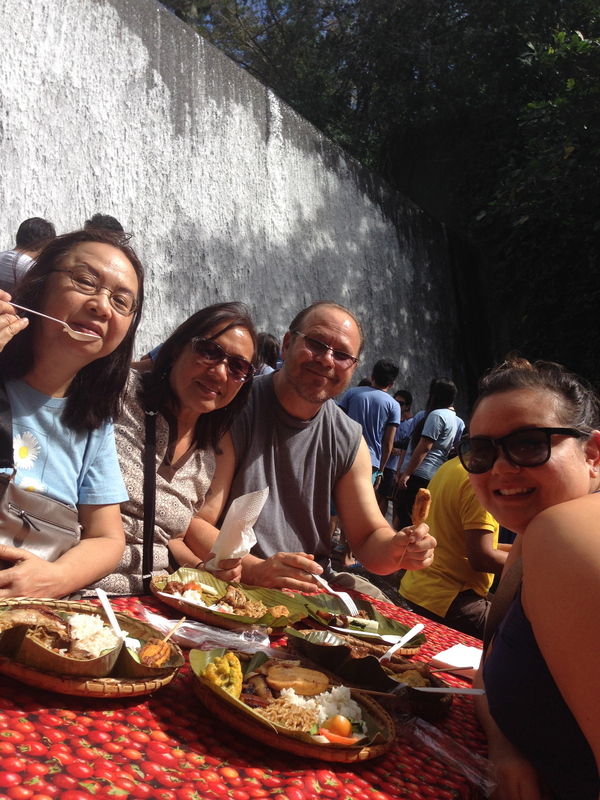 You can also enjoy an al fresco lunch underneath a man made waterfall, take a ride on a bamboo raft along the Labasin Lake, and enjoy a spectacular performance featuring cultural Filipino Dances. We took a nice walk through the museum and explored the vast collection of personal items belonging to the Escudero Family that they acquired from travels around the Philippines and the world. My dad and I could have stayed there all day! The Entrance to the museum. SO pretty! 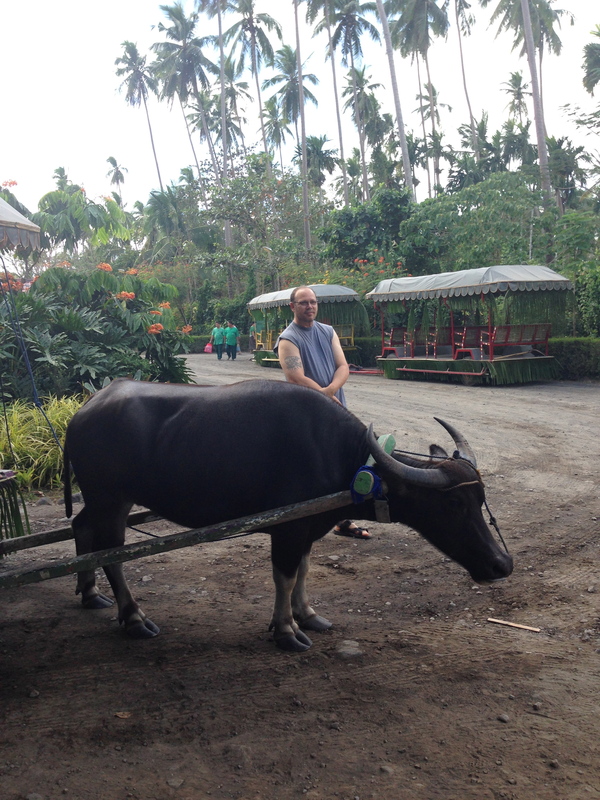 Then we hitched a ride on a Carabao cart to the waterfall area. Our Carabao Madonna, was so sweet. My dad absolutely adored her. I was happy to finally get to the waterfall because I was starving! The Waterfalls Restaurant is one of the most unique dining experiences I’ve ever had. 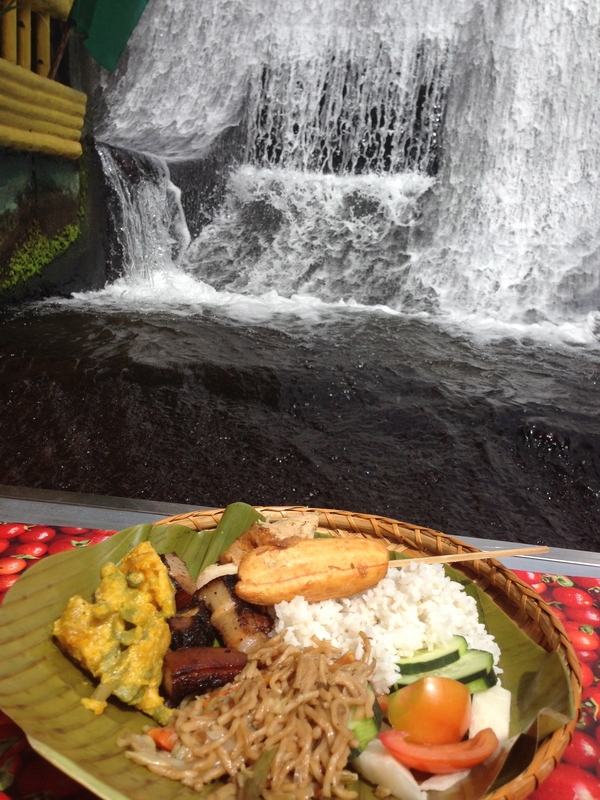 The bamboo tables were situated inches away from the waterfall right in the cool, clear water. The tropical breezes, family-like hospitality, refreshing water, and the delicious local fare definitely make this one of the best places to eat in The Philippines. 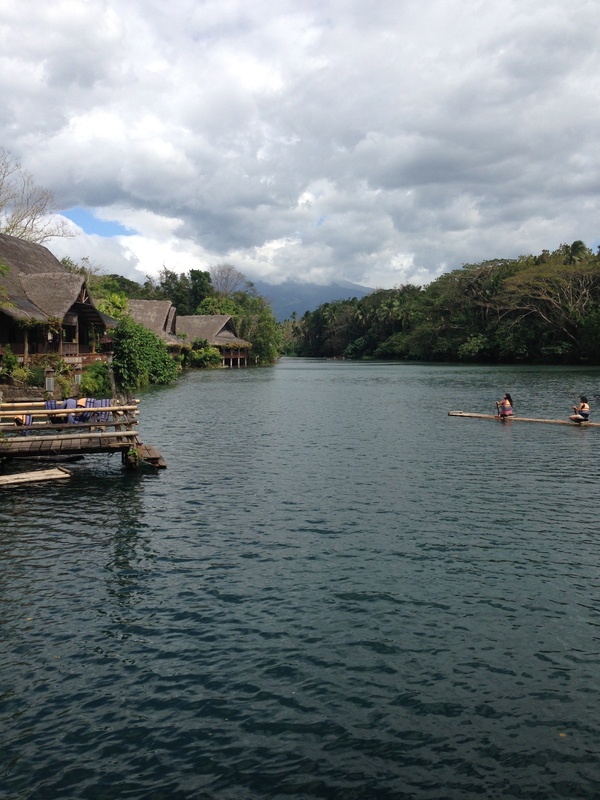 We wanted to get great seats for the cultural performance so we didn’t have enough time to do a raft ride on Lake Labasin, but the view itself was absolutely amazing and it was nice to just sit and chat with family and strangers for a while. I am going to make sure I’m out on a raft next time though ! What a view! 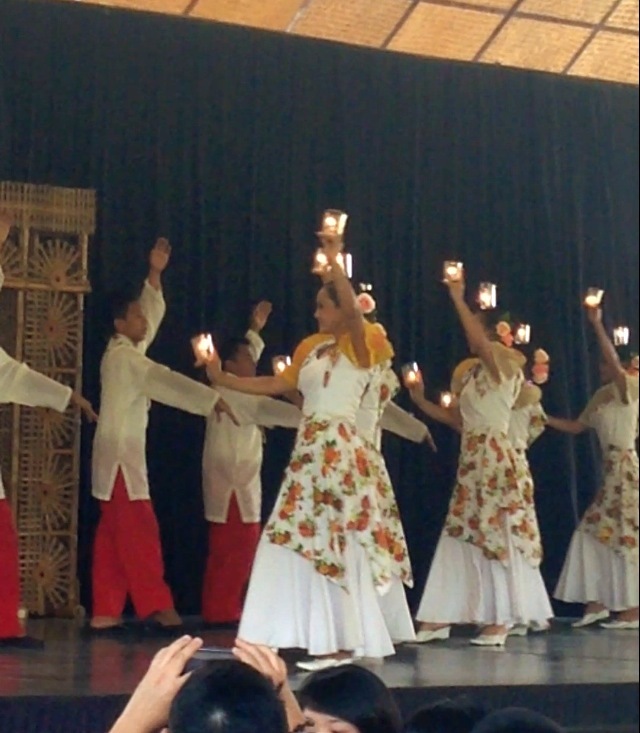 For me, the highlight of our visit to Villa Escudero was the cultural performance featuring the beautiful dances of the Philippines. Sorry about the less than perfect photos! I took tons of video of the dances and forgot the photos. 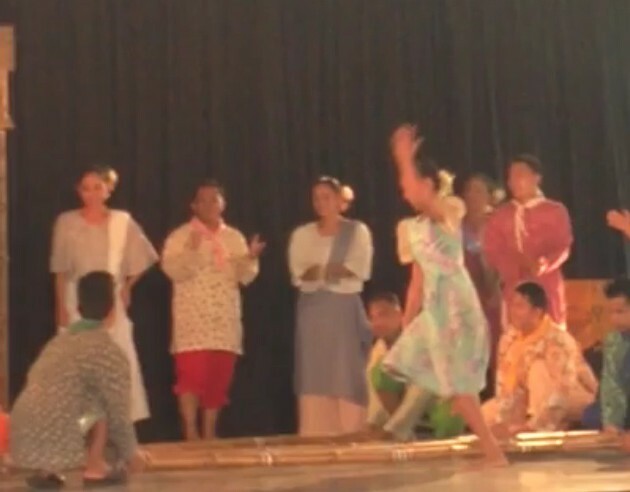 Think of these as a teaser – You’ll just have to go and see them for yourself ;-P .
Maglalatik – The coconut dance ! 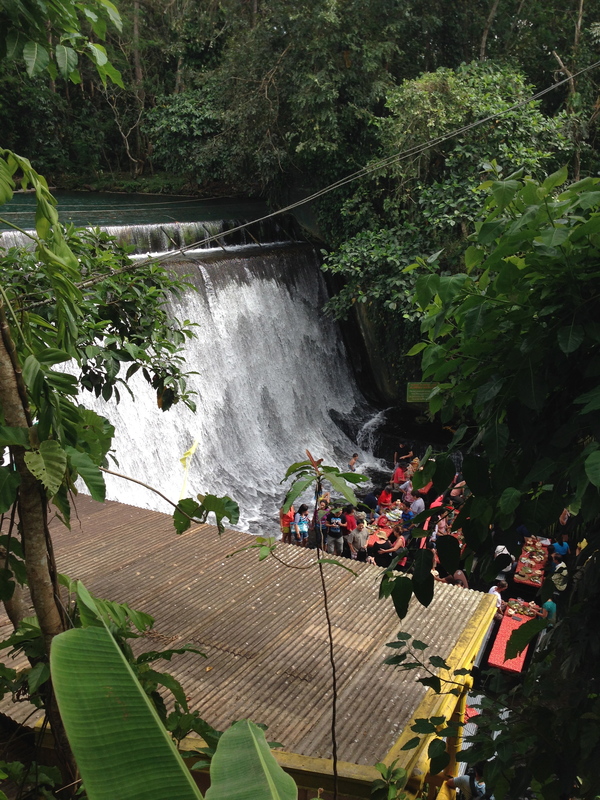 I’m so happy that I got to experience Villa Escudero. You definitely do not want to miss this cultural treasure on your next trip to the Philippines. It was a treasure of a vacation and a great report and article to read! Thank you! It was a wonderful once in a lifetime vacation! We are blessed! Well said jamie. The pictures are wonderful. I should go to the waterfall next time i visit the homeland hehe. cool pictures and great read jamie….very good indeed! Thank you Cecil!! Thanks for reading!